I wore this to a craft show. I added some color with a rainbow necklace. This tank has a ruffles. I think it adds some fun texture. That necklace is so unique. 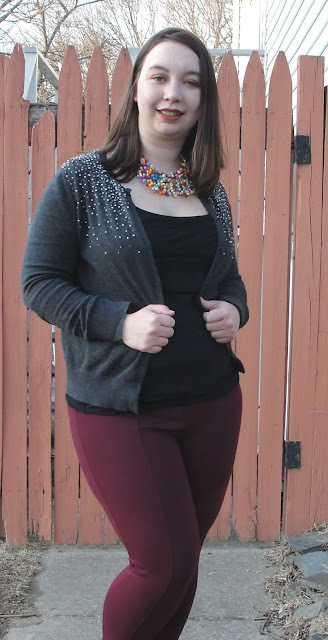 All those colors really pop on the neutral outfit! Oh wow, I just love this rainbow necklace. What a great and fun find at Charming Charlie! Oh I love that necklace, it's such a pretty touch. 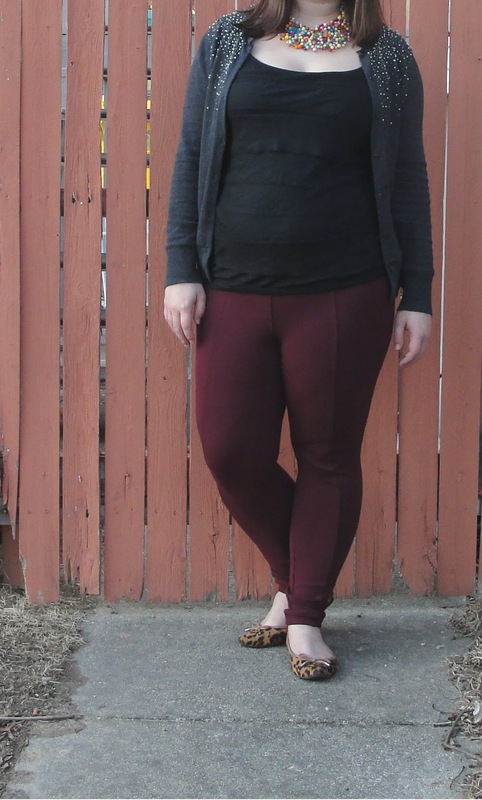 And I love those pants too--i think I need some burgundy pants! I have a pair of similar burgundy leggings and I love 'em! Great for the office, too. Such a fun mix of colors and textures! That little sweater is too cute! Your embellished dark green cardigan, colourful necklace, black top and burgundy coloured pants all look fabulous styled together!